Architectural Insights, based in Palmer, Massachusetts, was established in March of 1988 by Lawrence E. Tuttle and Robert S. Haveles as a union of professional development and architectural design services. Since that time, Mr. Tuttle and Mr. Haveles have built Architectural Insights into a strong, diverse, and well-respected practice based on their combined and diverse architectural experiences, practical construction knowledge, and strengths in comprehensive project administration and on-site coordination. They consistently bring contextual sensitivity and creative approaches to design projects, while complimenting them with traditional methods and innovative products. The partners bring those varied experiences in new construction, renovation, historic preservation and building additions with consistent enthusiasm. Architectural Insights has chosen to concentrate its current efforts in local communities in both the public and private sectors, and supports its regional base by using local resources and skilled craftsmen in the provision of appropriate design solutions. The principals reinforce their commitment to the area by relocating Architectural Insights' offices into the former Thorndike Street School building, now known as the Depot Village Professional Building, located in downtown Palmer at 3 Converse Street and participating in work / study programs throughout the area. 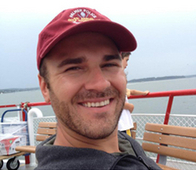 Mr. Tuttle received a Bachelor's Degree in Environmental Design from Miami University in Ohio, and a Master's Degree in Architecture from the University of Wisconsin. Professionally, he obtained liscensure in 1984 and held various design and management positions with four architectural firms, which led to his involvement in several well-regarded published works receiving regional and national attention. His creative pursuits in the design, promotion, and operation of exhibits, trade shows, and special events for the city of Chicago, lead to involvement in the preliminary work on Chicago's bid for a World's Fair and site planning for the Pope's visit to the City of Denver, Colorado. 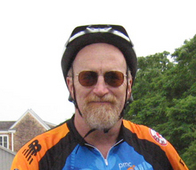 Mr. Tuttle has been a participant in the Pan Mass Challenge for the past five years consecutively. This entails biking from Sturbridge to Bourne MA for one day of the ride, and on the final day, from Bourne to Provincetown. A total of 200 miles total! If you would like to support his efforts and the causes of the Dana Farber Cancer Institute, please do not hesitate to contact him. For Professional Resume, Please Click here for a PDF. Mr. Haveles earned an Associate's Degree in Architectural Engineering from Wentworth Institute and a Bachelor's Degree in Environmental Design from Miami University. He has a diverse professional background, including work in commercial office and retail space, elderly housing for continuing care, cultural facilities, parking structures, the restoration and preservation of historical structures, and custom residential design. 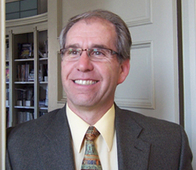 In addition to his professional work, Mr. Haveles serves on numerous town boards and committees, which typifies Architectural Insights' commitment to the community and also provides a more thorough understanding of governing board procedures for municipalities, state and federal agencies. In conjunction to the architectural field, Mr. Haveles has taken a very active role in the community where he resides by serving on numerous town and recreational committees thus providing a more thorough understanding of the local municipalities and the larger spectrum of the State and Federal governments. 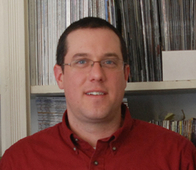 Dan Daigle earned a Master's Degree in Architecture from Wentworth Institute of Technology in Boston, Massachusetts. He is a registered Architect in the state of Massachusetts. Dan had the opportunity to be involved with the Study Abroad Program at Wentworth, where he traveled Europe for several months. Dan has focused a majority of his professional work in commercial projects; ranging from restaurants, club houses, helathcare design solutions for hospitals, and design for substance abuse treatment centers. He is also a Lieutenant on the Three Rivers Fire Department, of which he has been a member serving his community for over a decade. Peter Hendery has graduated with a Masters in Architecture from the University of Massachusetts Amherst. He is actively preparing for the Architectural Registration Examination to obtain licensure. Peter has an undergraduate degree in Sculpture from the University of Massachusetts Darthmouth.